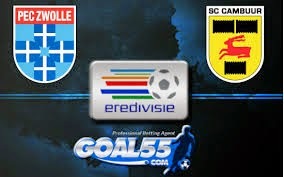 Another interesting game for Holland Eredivise.Both teams gives a big fight for the qualafication places!Zwolle is 6th at the league with 39 points and Cambur is 9th with 33 points.As i can see from the stats Zwolle has six in a row away games ended over 2,5 goals and nine away games in a row was 'both teams to score'. On the other hand Cambour last five games had seventeen golas on the tottal. !I cant find a reason for this game not to end over 2,5 goals.Both teams wants to win and i expect an open game.